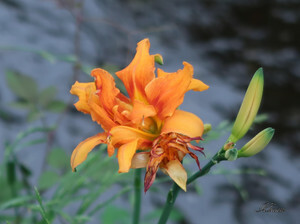 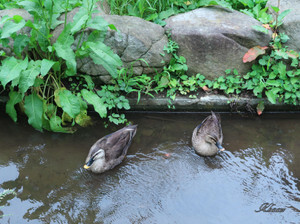 千川上水を散歩しました。I enjoy walking along Senkawa waterworks. Senkawa waterworks, constructed more than 300 years ago, for supplying irrigation and urban water from Musashino city to Toshima area in Tokyo, it used be 22lm long but nowadays only 5km in upstream is open canal and the rest is culvert. 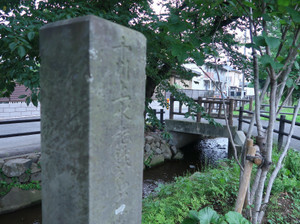 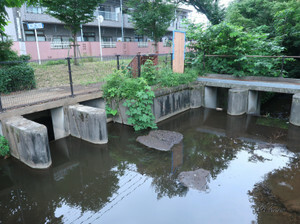 It is a sluice gate from Tamagawa waterworks, and then water flows between big trees like zelkova or hackberry. 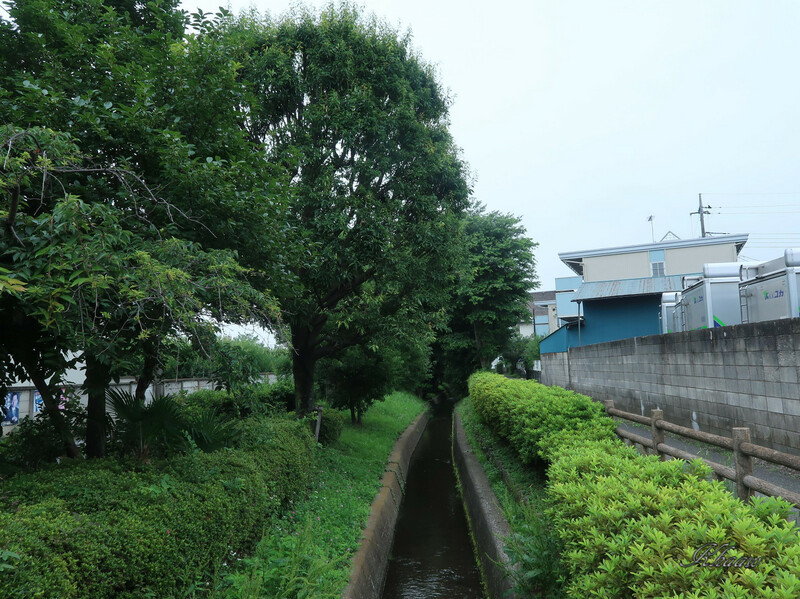 It is not genuine clear water, it is actually highly treated sewage water, but sound of water flow makes me relax. 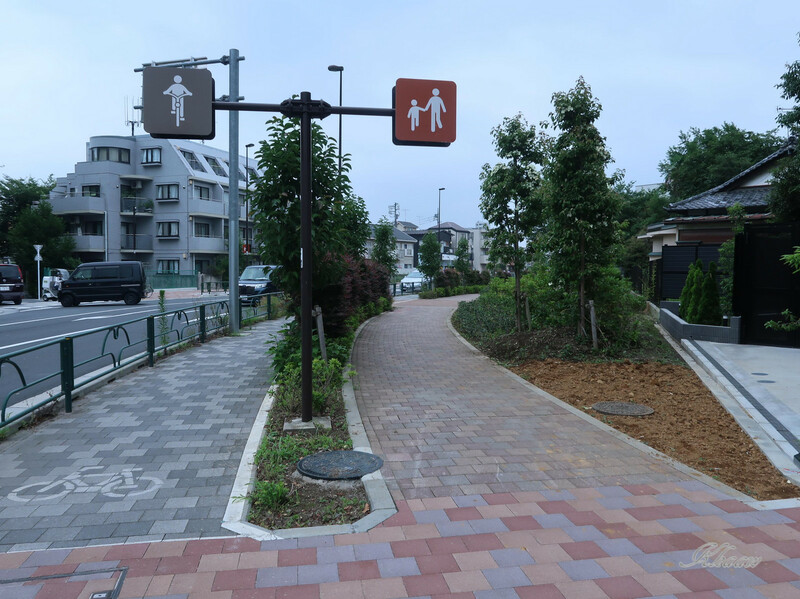 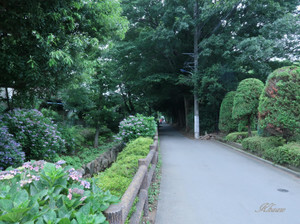 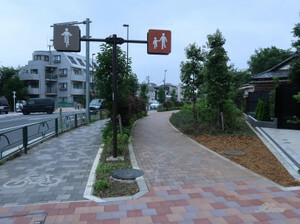 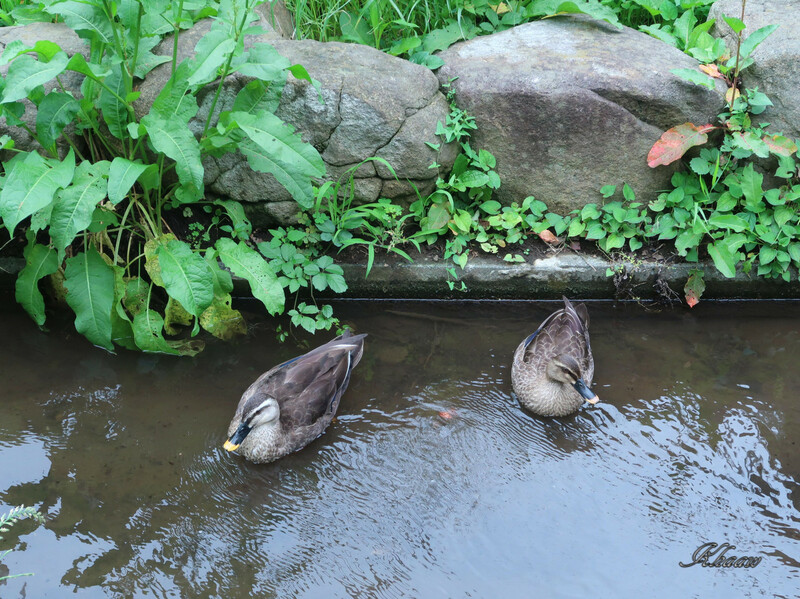 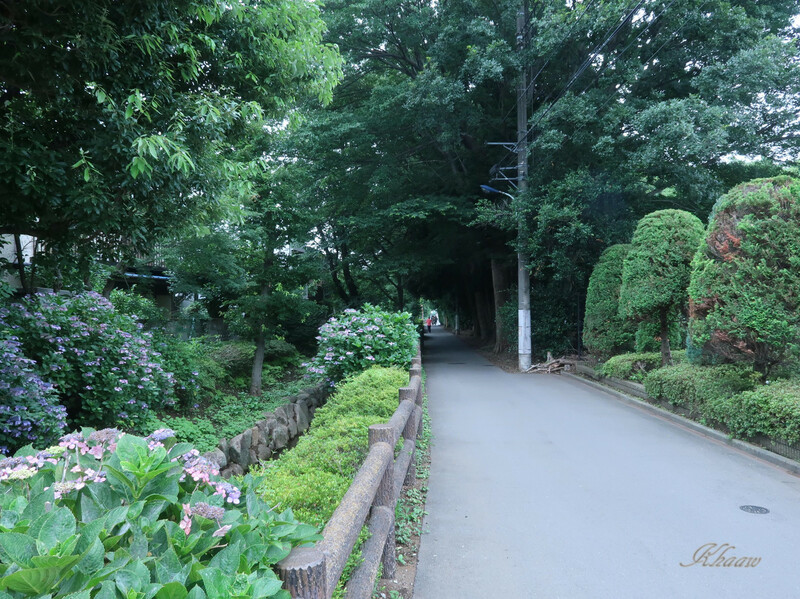 In this area, water flows through residence area, and north-side (left side)of flows is now Nerima ward (Tokyo metropolitan city), and right side in Musashino city. 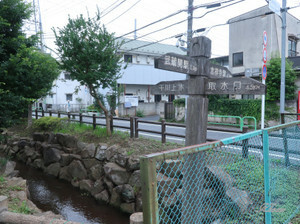 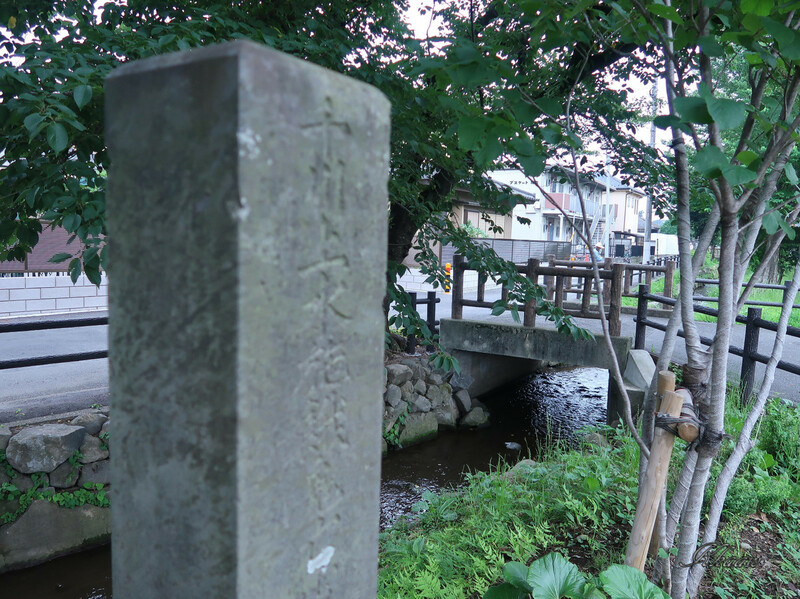 A memorial monument for Segaki (which is namely for hungry ghosts'), actually for drowned person, particularly for children in the canal, which means the flow was much deeper than now. 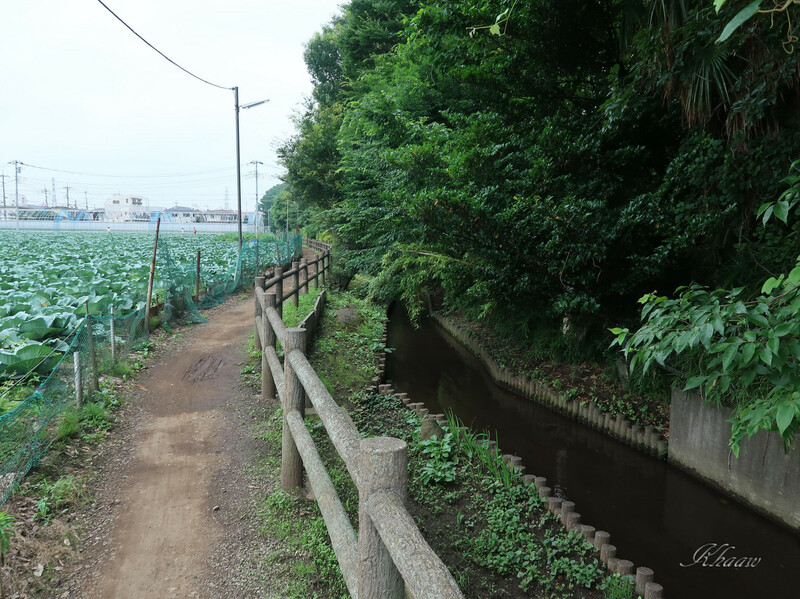 Around here, landscape of countryside is spreading like cabbage fields and woods around farmers residences, and this area is most remaining atmosphere of old age. 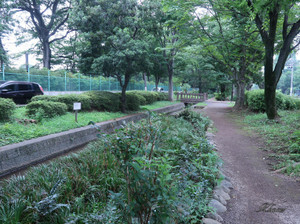 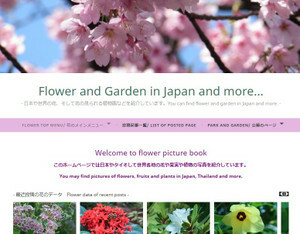 Many people are enjoying walking or jogging along the flows. 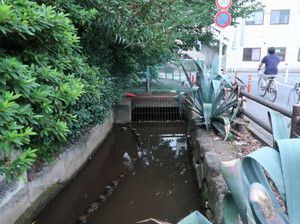 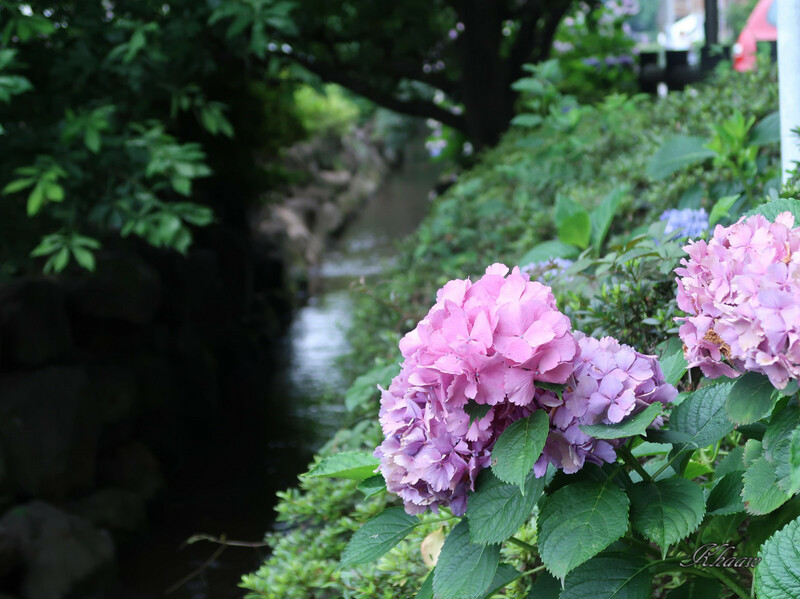 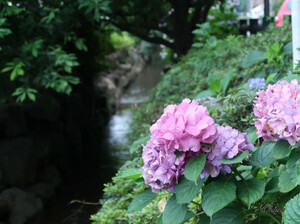 After around 500m cross a busy street anmed Kichijyouji street on a Senkawa bridge, the cannal flow into culvert inder a Ome-street and then it changes to a promenade along with Senkawa street.